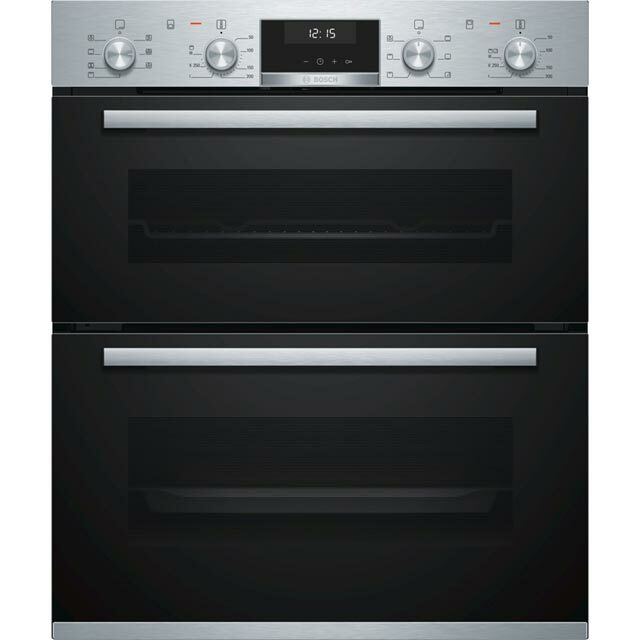 Create stunning dishes with this built under electric double oven from Bosch. It has a main multifunctional oven, which gives you a great range of cooking options to choose from – so you can perfect every exciting new recipe. The second conventional oven has a handy grill setting, which is ideal for whipping up tasty snacks like homemade bruschetta. With its telescopic shelf runners, you can effortlessly slide the shelves out to check on your meals too. It’s easy to keep clean as well, as the EcoClean Direct enamel interior absorbs greasy splatters, which burn away as you cook. This model is designed to fit under a worktop.